Apparently facts don’t matter much to Campbell Brown. Though her latest “fact” about public schools has once again been shown to be more truthiness than truth, she refuses to retract it. It’s a scary statistic. The problem is it’s completely unsupported by evidence. And when education experts called her out on it, she complained that SHE was being attacked. When pressed, Brown admitted she got this figure from the National Assessment of Educational Progress (NAEP) a test given to random samples of students in fourth and eighth grades every two years. However, Brown either misunderstands or misinterprets the scores. If one were to interpret the data in the way Brown suggests, the highest scoring countries in the world would be full of children who can’t read at grade level. Hardly anyone in the world would be literate or could add and subtract. It’s beyond absurd. And when she was notified of her error by authorities in the field including Carol Burris, Tom Loveless and Diane Ravitch – who, by the way, served on the NAEP Governing Board for seven years – Brown responded by likening her critics to Donald Trump. Once upon a time, Brown was a respected reported for NBC and anchorperson for CNN. Now she’s a paid Internet troll. I’m sorry if that sounds harsh, but it’s true. She co-founded and edits a Website called The Seventy Four – a reference to the 74 million children across the country who are 18 or younger. It might be more honest to call it The Four, instead, for the $4 million she receives annually from the mega-rich backers of school privatization to bankroll the endeavor. She claims her site is “nonpartisan.” Funny. I guess that explains why she continually backs every cause and campaign championed by her donors. Change all public schools to private charter schools? Check. Block teachers unions from collectively bargaining? Check. Ignore the overwhelming preponderance of stories about charter schools cheating the public and their students? Check. Pithy. Yet it remains unclear exactly how the nation’s school children will benefit from Bill Gates and the Walton Family having an even larger say in education policy. Brown has sold her image and rep as a journalist so it can be used to purposefully mislead the public into thinking she is still dedicated to those endeavors. She’s not. What she’s offering these days is not News. It’s bought-and-paid-for public relations meant to destroy our nation’s public schools. If anyone thought Brown retained even a shred of journalistic integrity left, she should have removed it when she called herself, “a soldier in Eva’s army.” This is a reference to Eva Moskowitz, the founder and CEO of a New York City charter school chain – Success Academy – where children are put under such pressure they wet themselves during testing and kids in first grade are shamed and berated for math mistakes. As a public school teacher, myself, this makes me sad. Yes, there is more being written about education policy and public schools than ever before. But most of it is just paid advertisements from the standardization and privatization industry. Look who’s funding these stories. TV Networks such as NBC, MSNBC and Telemundo have broadcast various education segments on “Nightly News” and “Today” underwritten by Bill Gates and Eli Broad. The Education Writers Association – which boasts more than 3,00 members – receives money from Gates and Walton. The L.A. Times receives funds from Broad for its Education Matters Digital initiative. On-line publications also have been infiltrated. The Education Post took $12 million in start-up funds provided by Broad, Bloomberg and the Waltons. 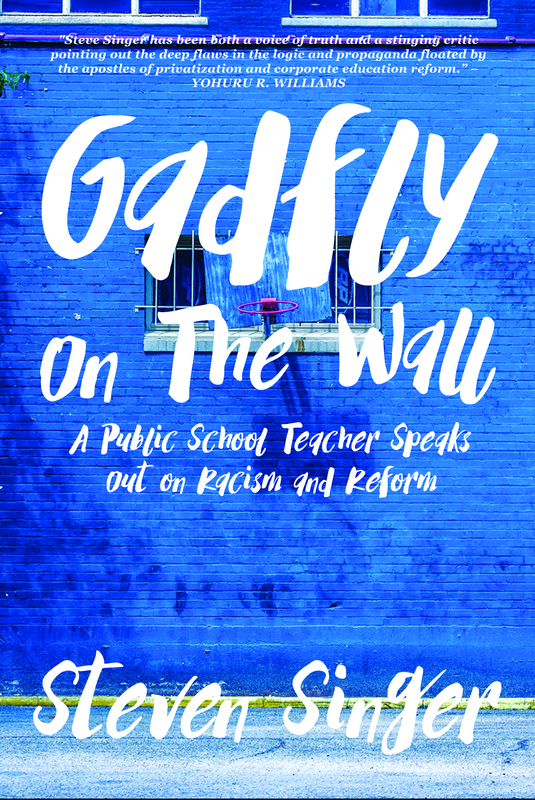 The site focuses on “K-12 academic standards, high-quality charter schools and how best to hold teachers and schools accountable for educating students,” according to the Washington Post. Even well-respected education blogs including Chalkbeat and Education Week are funded in part by the Waltons (in the latter case, specifically for “coverage of school choice and [so-called] parent-empowerment issues.”) Education Week even tweets out paid advertisements for Teach for America as if they were news stories! We’ve all seen “Waiting for Superman,” the infamous union bashing, charter loving propaganda film packaged as a documentary. Its popularity was helped with outreach and engagement funds by the Waltons and a host of other privatizers. It’s far from the only effort by market-driven billionaires to infiltrate popular culture with corporate education reform. They tried to sell the parent trigger law with “Won’t Back Down,” but no one was buying. Efforts continue in Marvel Studios television shows. A plethora of teachers, academics and other grassroots bloggers have taken to the Internet to correct the record. But they are often ignored or drowned out by the white noise of the same corporate education reform narratives being told again-and-again without any firm footing in reality. In fact, after blogger and former teacher Anthony Cody won first prize from the Education Writers Association in 2014 for his criticism of Gates, the organization banned bloggers from subsequent consideration. We bloggers are almost completely unpaid. We do it because we care about our profession. Meanwhile the so-called “news” sources are funded by corporate special interests, yet it is bloggers that are looked at as if they were somehow reprehensibly compromised and biased. Education journalism is not going through a golden age. It’s a sham, a farce. When we allow our news to be funded by private interests, we lose all objectivity. The stories are spun to meet the demands of the big foundations, the billionaires bankrolling them. And the real experts in the field are either not consulted or left to quixotically do whatever they can on their own time. Education journalism isn’t about what’s best for children. It’s about how best to monetize the system to wring as many taxpayer dollars out of our schools as possible for corporate interests. It goes something like this: reduce the quality to reduce the cost and swallow the savings as profit. But it’s sold to the public in propaganda that we call journalism. Nowhere is this as obvious as with Brown. Just as Broad was initiating a plan in February to double the number of charter schools in the Los Angeles Unified School District, Brown’s site, the Seventy Four, was given control of the LA School Report, an on-line news site focusing on the second largest district in the country. Brown was expected to run interference for the takeover. She was running the propaganda arm of the privatization push. And that’s really what’s happening with our education journalism. I’m not saying there aren’t actual journalists out there trying to tell unbiased stories. But they are few and far between. They are beset by corporate interests. And anyone who wants to tell the truth is silenced or marginalized. As we’ve seen, when you actually try to point out errors like Brown’s ridiculous assertions about eighth grade students, the media treats it as a he-said-she-said. They say, “Wow! Teachers really hate Brown.” Shrug. Meanwhile the truth is left murdered on the floor as our schools are pillaged and sacked. The corporate sponsors of spokes-persons like Brown are just trying to do to education what they already did to journalism, to wit, destroy its professionalism and integrity.